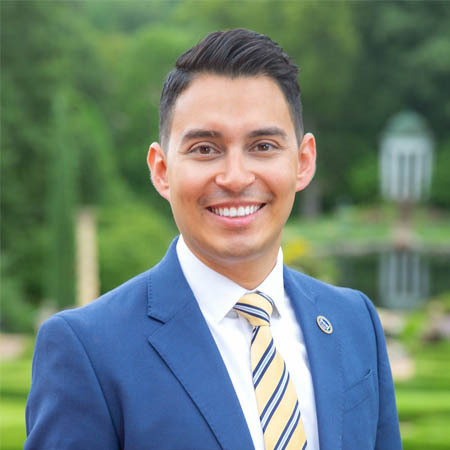 Moises Echeverria serves as President and CEO of the Oklahoma Center for Community and Justice (OCCJ), an organization dedicated to achieving respect and understanding among all people. He has been involved with OCCJ for sixteen years, first as a program participant, then as volunteer and subsequently as staff. He is passionate about social justice, education, and giving back to the community. He serves in the Tulsa City-County Library Commission, Oklahoma Advisory Committee of the U.S. Commission on Civil Rights, Tulsa Public Schools Community Advisory Committee, Martin Luther King Jr. Commemoration Society, on the boards of Community Health Connection and Tulsa Honor Academy, and is the 2018 Chair of TYPros, one of the largest organized young professional associations in the United States. Moises has received multiple awards for his work in the community. He completed a Bachelors in Business Administration at Oklahoma State University and a Masters in Human Relations from The University of Oklahoma.